Halfway between a traditional townhouse and a condo, the residences of Yorkdale Village Phase 2 offer a smart combination of the winning features of both property types. Decade Homes partnered up with SMV Architects to create 99 stacked townhouse units within three larger buildings. The homes are placed within a partially interlocking fashion on top of each other, though the buildings they make up remain low-rise and intimate. It’s in the same vein as a New York City brownstone, but with private street entrance. 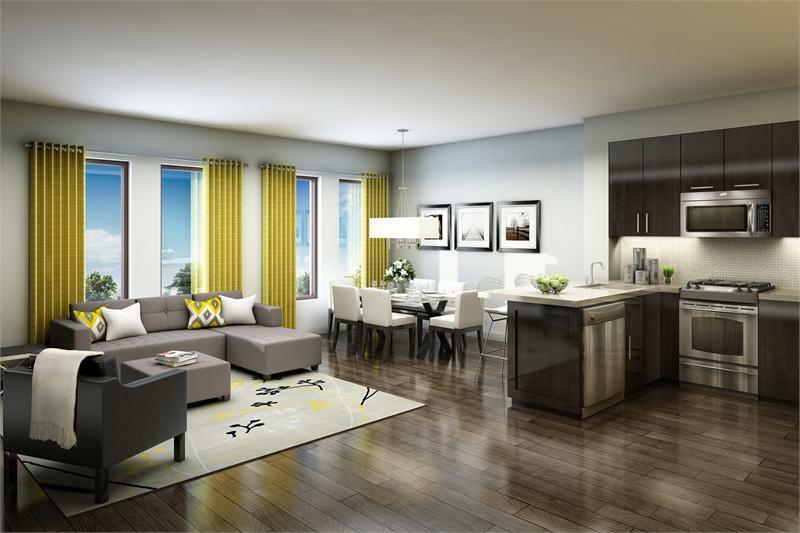 Buyers who wouldn’t feel at home in a condo tower but don’t need the space of a full-size house can find a happy medium with the one bedroom and one bedroom plus den suites. But the North York project will also appeal to buyers looking for a family-sized home. Two and even three bedroom townhomes are also available. The two level units even come with outdoor space thanks to the private roof top terraces. Inside, the residences have a wealth of contemporary finishes and features such as 9-foot high ceilings on each floor, granite countertops in both the kitchen and bathroom as well as stainless steel kitchen appliances. Plus your at-home comfort will always be in your own hands thanks to the individually controlled heat and central air conditioning within each unit. Much like a condo, the project comes equipped with secure underground parking and storage and other amenities such as an indoor communal meeting space and a one of a kind amphitheater style garden. 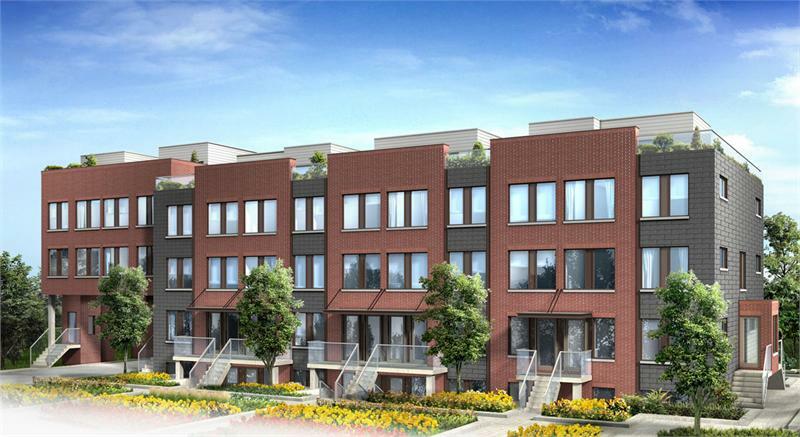 Situated at 855 Wilson Ave., right by the Yorkdale Shopping Centre and the Wilson subway station, Yorkdale Village Phase 2 promises to be a unique take on townhouse living. Suites start from the $250,000s. For more information contact 416 638 5656 or info@yorkdalevillage.com.